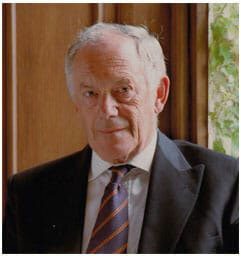 Peter Atkins is a fellow of Lincoln College, Oxford, and for more than four decades was tutor in physical chemistry and university lecturer in physical chemistry, later professor of physical chemistry until his retirement in 2007. He was Acting Rector of his college in 2007 and served on its finance committee for many years. He is currently a full-time author, having written over 70 textbooks and books on science for the general public. They are used throughout the world and have been translated into about 20 languages. He is a fellow of the Royal Society of Chemistry, and has been a member of its Council and the Council of the Royal Institution. He was founding chairman of the Committee on Chemistry Education of IUPAC (the International Union of Pure and Applied Chemistry, the governing body of the subject) and a member of the latter’s Bureau. He has honorary degrees from four universities and has been visiting professor in China, Japan, New Zealand, France, and Israel; he is an honorary associate of the National Secular Society and the Rationalist Association, and is a Patron of the British Humanist Association.